Click here to read Whitepaper! There will be a total of __________ apartments; a number of ____________ have already been sold in traditional currencies and the remaining will be allocated for bitleu holders. – Studio apartments price starts from ____________ BTL and early investors will be given additional bonuses. – Packages for interior design services and furniture can also be purchased in BTL. – The apartments in Bitleu will be offered at a 20% discount. 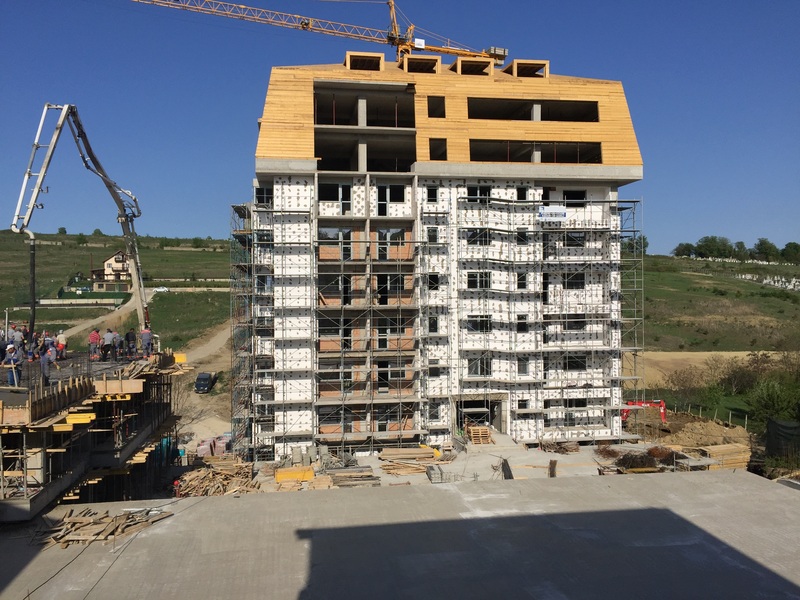 Through our construction company Austrocasa International, we are building right now two 10 story block apartments in Iasi, Romania, within the Crystal Residence Area. The block apartment are situated not far from Iasi downtown but in a nice green and quiet area. The apartments are priced from 30,000 euro for 1-room apartment to 78,000 euro for a 3-room apartment, but we will accept BTL, and people who buy these apartments with BTL currency have a discount of 15%. Also, smart contracts will be available for those who will want to invest in pre-ICO and ICO for these or the following projects that will be developed in 2018. Why this name and Who was Elisabeth Rizea? Elisabeta Rizea (28.06.1912-6.10.2003) was a Romanian anti-communist partisan in the Fagaras Mountains of Romania. After the Romanian Revolution in 1989, she became the symbol of Romania’s anti-communist resistance. The inland plot area equals 3,477m², and the usable area is about 9900m². Approved urban zoning project is for building a 10-story block with 3 stairs, at the address: Aleea Elisabeta Rizea, Pacurari, Iasi, Romania. The building will have a classic structure on concrete frames, but the walls will be thermally embedded very well with cellulose fiber and a thin layer of nanotechnology-based insulator. All exterior elements of design and architecture will be made with our DesignVast 3D printer whose prototype is in one of our workshops. construction of 11 floors, approximately 4500 m2 built. Of course, more real estate development projects will be presented here when the token will be ready to launch.